'The first New Zealand Arbor Day planting organised by Mr. WC. Nation on 3rd. July 1890. The trees were planted along the road to the cemetery. 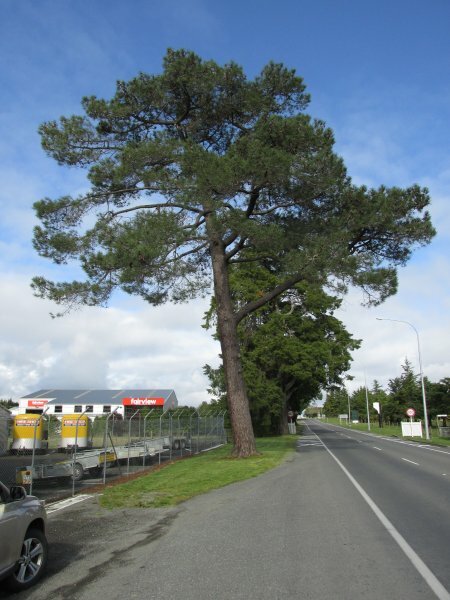 Arbor Day is now a nationwide event but was first observed in New Zealand in Greytown. Recommendations were received from Sir George Grey and Queen Victoria. The tree is a good specimen but leans slightly off the vertical. There is some damage to the base of the trunk which is probably the result of a traffic accident. 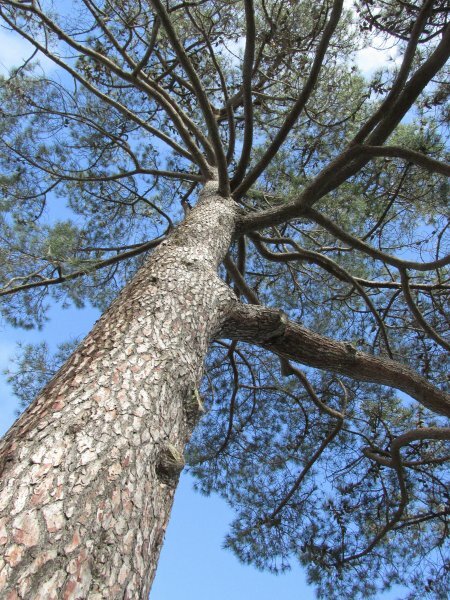 There are two other Pinus pinaster at the southern end of the group. One Pine is 8m. high and the other is 6m'. Duthie 1986. 'The trees were cleaned and tidied by arborist David Palmer prior to the 1990 Centennial celebrations'. Watson 1991. Reference. Greytown Beautifying Society 1986. 24 Sep 2016 Cadwallader, B.G.